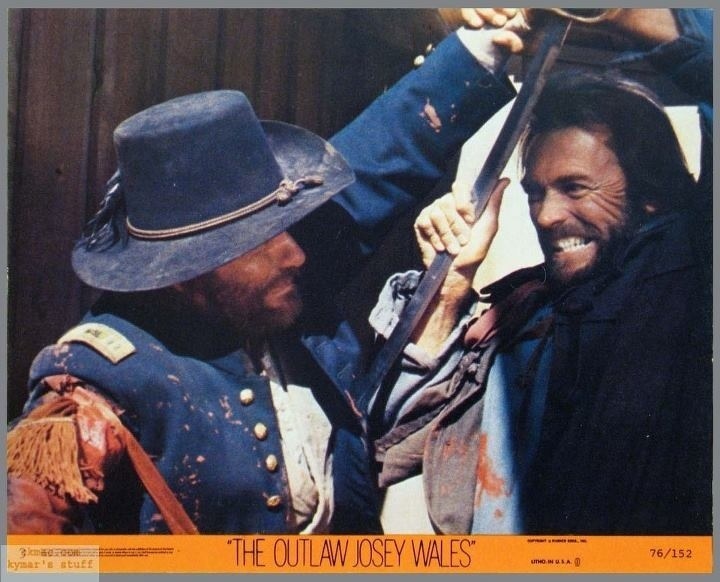 Released in 1976 The Outlaw Josey Wales is a classic Eastwood western, which has become a fan favorite and besides starring, Eastwood also directs the movie. 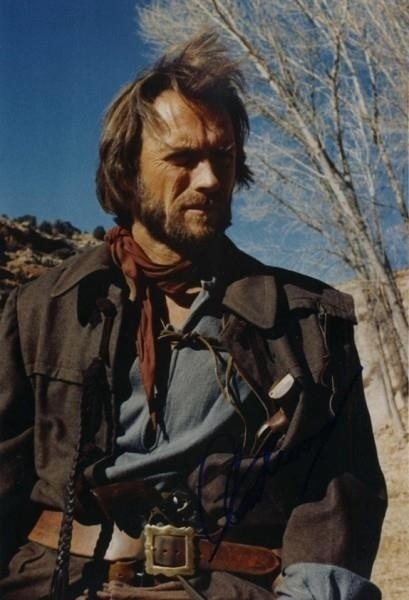 Clint Eastwood has made a career playing tough no nonsense characters and Josey Wales, continues that tradition. 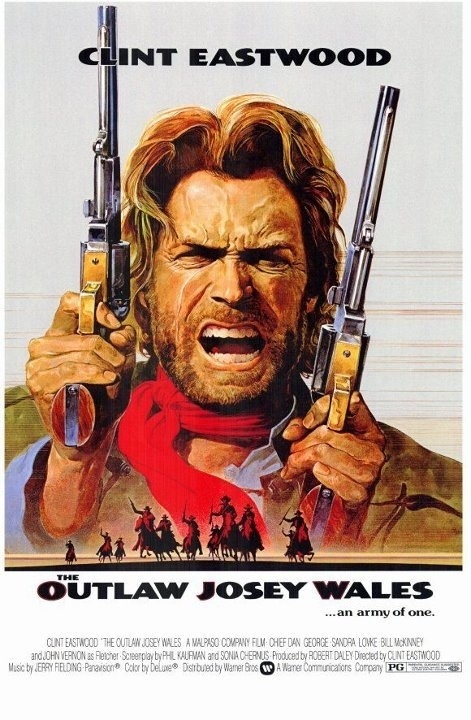 If anything my only complaint with Outlaw Josey Wales is that the plot is a bit weak; after the murder of his family by Union soldiers, Wales ends up joining the Rebel army and hunts down members of the Union, but with the war ending every rebel group surrenders including the group, which Wales is in, but of course Wales is the only one that won’t surrender and the Union is now on the hunt for him, but Wales shows up and kills several and is now on the run and on his path he ends up joining forces with several misfits. 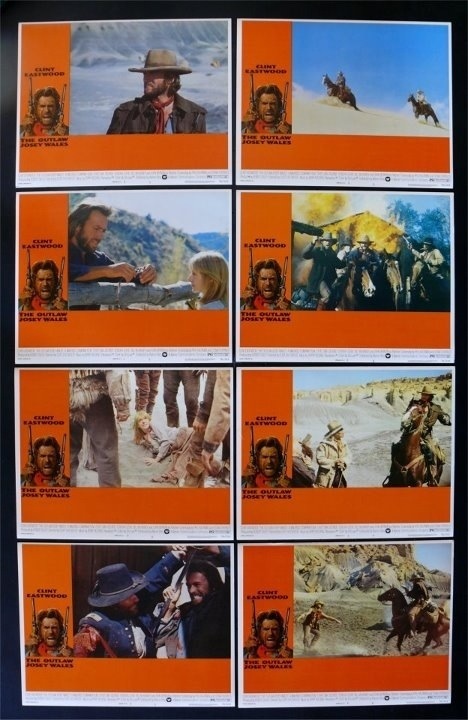 The screenplay by Phil Kaufman & Sonia Chernus is based off the novel Gone to Texas by Forrest Carter and since I haven’t read the novel I cannot compare the two. 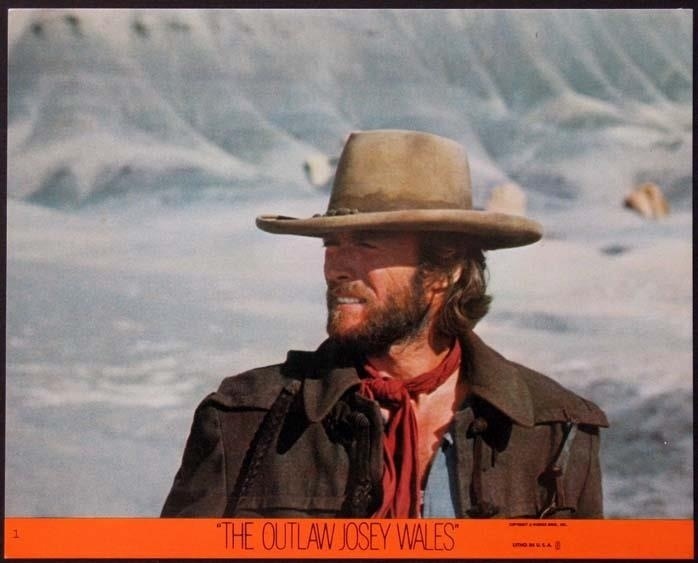 The murder of Josey’s family is why he joins the Rebels, but honestly if the opening scene had been edited out it really wouldn’t impact the movie. While that might take away the reason for him joining and not surrendering, but I don’t think viewers would question anything. 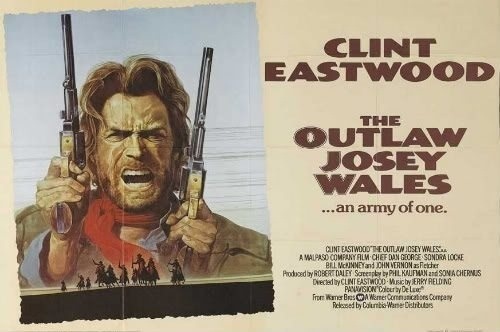 As I stated the plot was a bit weak, but what it might lack in plot it makes up for in some really great characters. None of the characters have a lot of depth, but they are likeable. I really enjoyed watching all these really fun characters and even if they lack any real depth I did find myself rooting for them all and so while the plot might lack the characters are excellent. 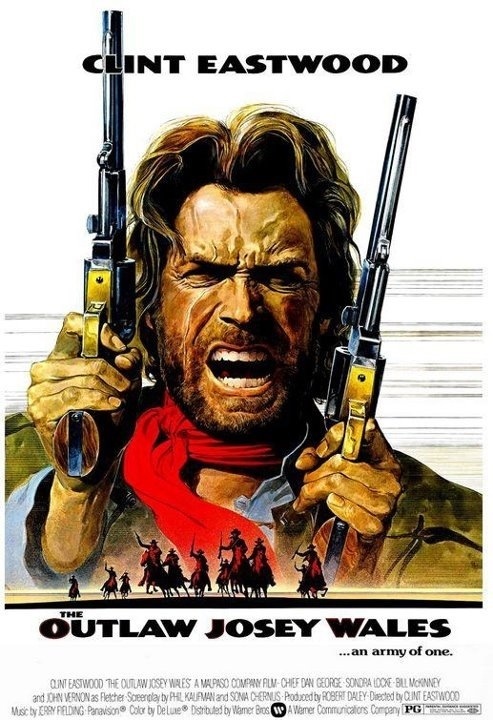 Also this has to be one of the most quotable movies I’ve ever seen; despite any problems with the script it also gets a lot right and turns out to be a winner. 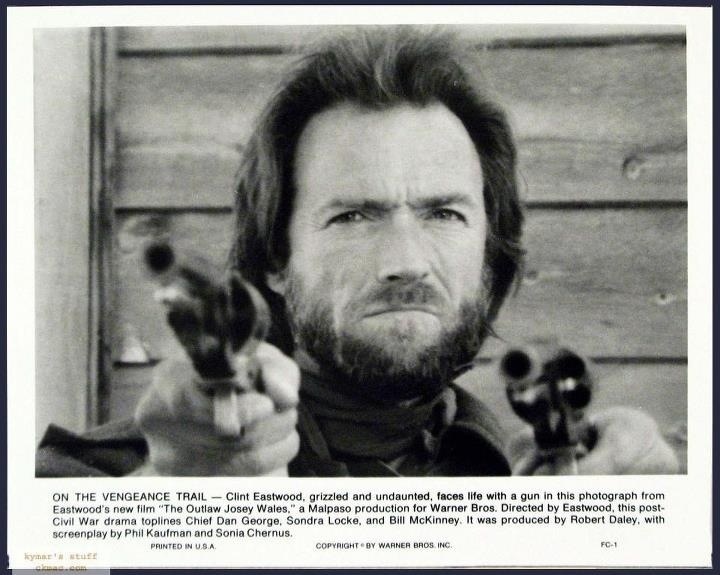 As director this was a little different than some of Eastwood’s other work. 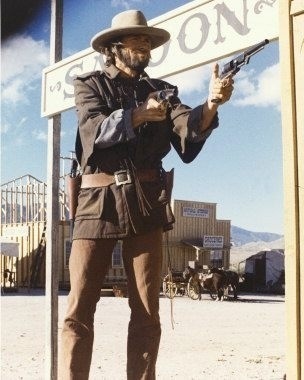 In general Eastwood isn’t a very flashy filmmaker and I like that about him, but with Outlaw Josey Wales he shows a nice eye for visuals and while at times the pacing can be a little sluggish in certain areas however it’s never boring, but Eastwood puts together some excellent action sequences and while nothing about these scenes may stand out they are exciting and movies like this remind me why I love action films from the 70s. 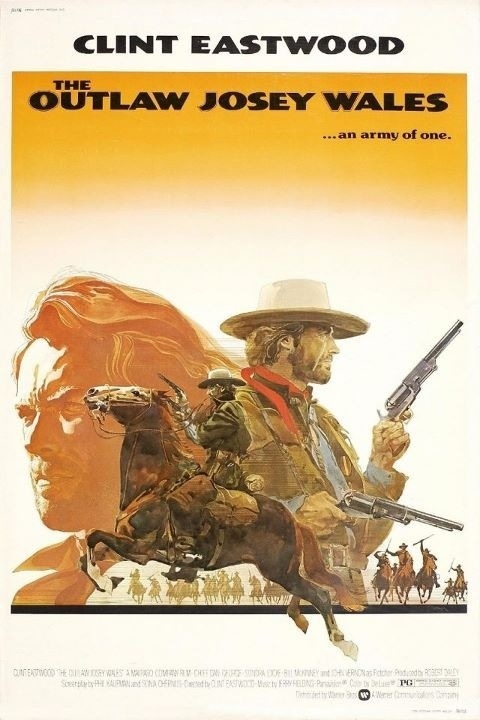 Clint Eastwood has directed some truly great movies and while this may not reach the epic heights of some of his other directorial efforts I would still rate this as one of my favorites. 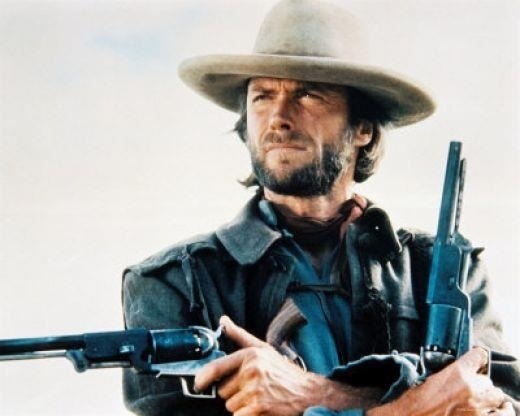 Clint Eastwood delivers an excellent performance and as much as I love Eastwood it doesn’t have a lot of depth as an actor, but he plays the no nonsense tough guys better than perhaps any actor out there. 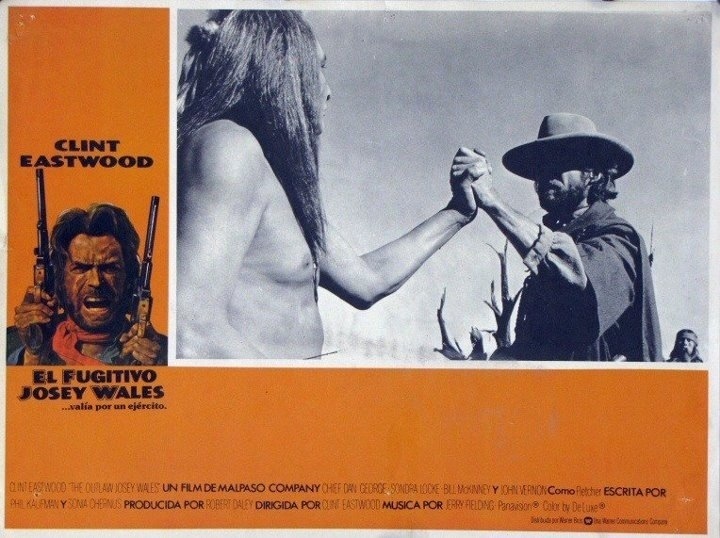 This would rate in my top 5 Eastwood performances and Josey easily being one of my favorite characters he played, but it’s Chief Dan George as Lone Watie that steals the show with an hysterical performance, Paula Trueman as Grandma Sarah also is hysterical and her scenes with Dan George are golden; and Geraldine Keams as Little Moonlight is also another highlight. All the actors are great here, but those mentioned are the ones that stick out the most. 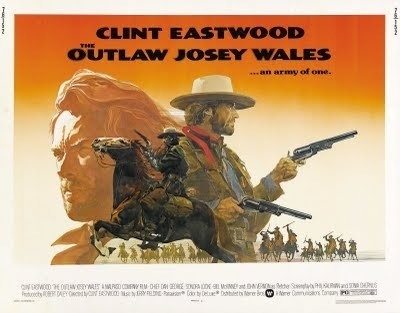 In closing Outlaw Josey Wales isn’t a perfect film as it is again a little light on plot, the characters even if great do lack depth and the pacing while solid can also be a bit sluggish in spots, but with that said this is a fine western and a must see for western or Eastwood fans and again despite any flaws it doesn’t really hurt the film much and this is another winner in the legendary career of Clint Eastwood.